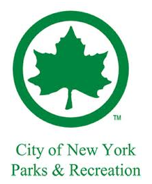 NYC Parks & Recreation does allow metal detecting in a number of parks. You will need to submit an application in order to hunt. If you do get a permit and hunt in a NYC park, it is important that you respect the park grounds and fill all your holes properly. Remember that you are a representative of the metal detecting community and how you conduct yourself reflects on all of us. 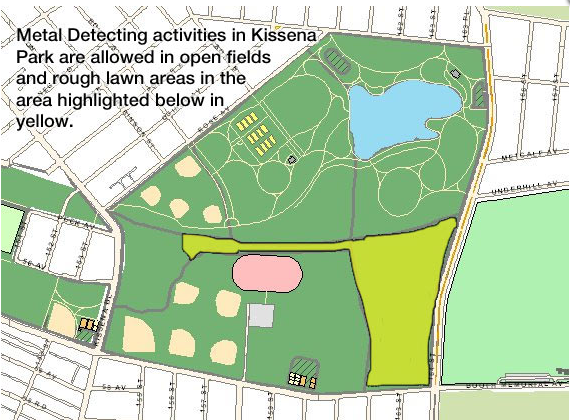 * Metal Detecting (probing or digging) along Mosholu Parkway may not be within 25 feet of the roadway. · “Recent Coins” shall mean coins still in common circulation and/or of a value of less than $25 (“Nominal Value”). · “Significant Object(s)” shall mean any object of a historical, paleontological, or archaeological nature, or any coin or object whose value significantly exceeds its face value. A Recent Coin is not a Significant Object. · “Officer” shall collectively mean any officer from the New York City Police Department (“NYPD”) and/or Parks Enforcement Patrol (“PEP”) Division. · “Native Vegetation Area” shall mean any area where any species of native (i.e., North American) plants are naturally growing and reproducing. Lawn areas are not native plant areas. 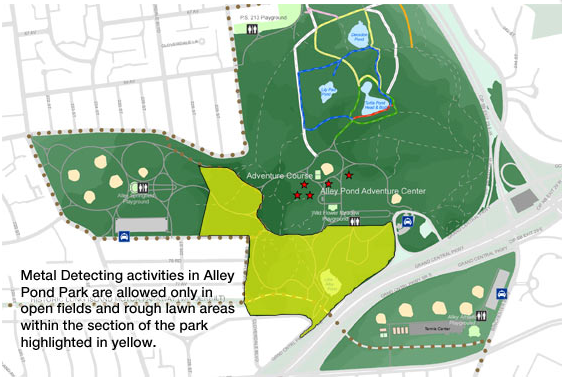 · “Ball-fields” shall mean areas designated for athletic activities including but not limited to baseball, softball, soccer, football, cricket fields and bleacher/dugout areas etc. · “Woodlands” shall mean land with dense coverage of trees, shrubs or bushes. Metal Detecting activity on Parks’ property requires a valid permit from Parks. All recovered Significant Objects must be reported to the Urban Park Service (212) 360-2778 within 48 hours of finding. 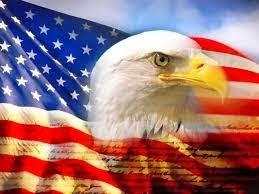 Applicant shall submit a photo of the Significant Object to Parks upon request. Parks will determine whether to retain title and possession of the recovered Significant Object(s). Every reasonable effort will be made by the Agency to publicly display all such recovered Significant Objects retained by the Agency on an annual basis. Such displays shall include appropriate acknowledgements regarding Applicant’s involvement. Any identifiable property found by Applicant (such as jewelry or other tangible items) must be turned over to Parks for delivery to the local NYPD precinct where applicable procedures will be followed. NYPD will provide Parks with a receipt and hold the object(s) for a determined period of time while Applicant assists NYPD in locating a proper owner of the lost property. Applicant shall show all found objects in his/her possession to any Officer upon request. Applicant shall use hand tools that can be used by one hand only for Metal Detecting. Hand tools shall be limited to 4 inches wide and 12 inches long. Applicant shall restore any disturbed area to its original condition by removing all evidence of digging and/or probing. All trash, litter or other debris uncovered must be removed and placed in an approved trash receptacle. Probing or digging is strictly prohibited within 25 feet or the drip line of the tree, whichever is greater, and in the following areas: Ball-fields, manicured lawns, newly seeded lawns, flower bed/gardens, Woodlands, Native Vegetation Areas, or any other area restricted by signage. Applicant shall comply with any directives to move or cease their actions by any Parks or City official.